The is third edition of this book to be printed. 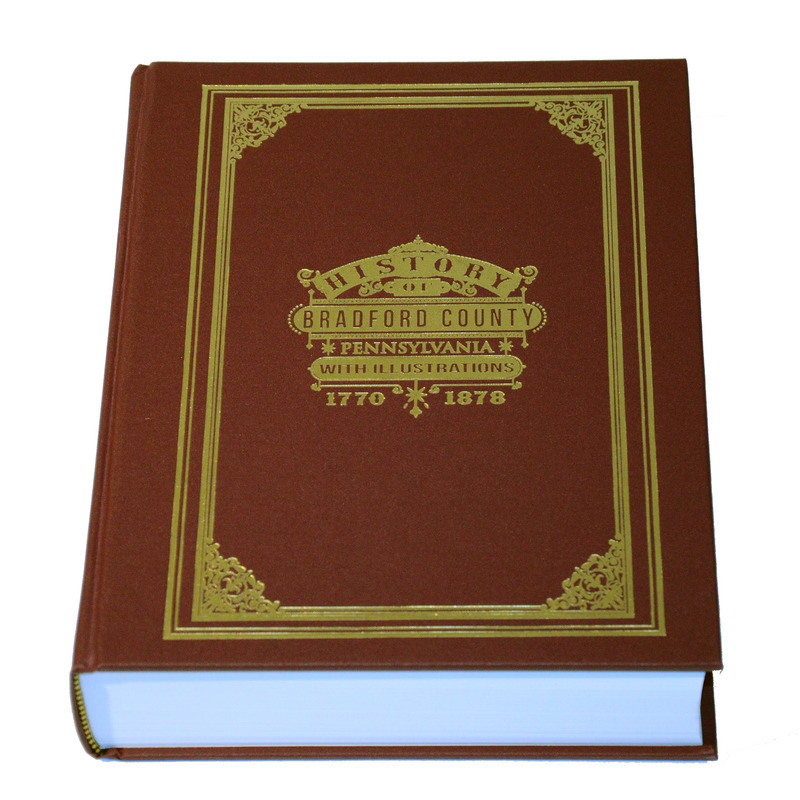 This edition was printed in commemoration of the bicentennial of Bradford County and the materials used in the binding are similar to those used when the book was first printed. Albany, Armenia, Asylum, Athens, Barclay, Burlington, Canton, Columbia, Franklin, Granville, Herrick, LeRoy, Litchfield, Monroe, North Towanda, Orwell, Overton, Pike, Ridgebury, Rome, Sheshequin, Smithfield, South Creek, Springfield, Standing Stone, Terry, Towanda, Towanda Borough, Troy, Tuscarora, Ulster, Warren, Wells, West Burlington, Wilmot, Windham, Wyalusing, and Wysox.